This adventurepark has tracks for small children, older children and adults. The small track is for children between 3 and 7 years. The tracks for the children and adults have three difficulty levels, so for each his own challenge. There is also table tennis and trampoline, they are free. Lővér Fürdő in Sopron 0.3 km 39 sec. Károly-kilátó in Sopron 2.7 km 7 min. Cinema City Sopron in Sopron 3.0 km 7 min. Műjégpálya Sopron in Sopron 3.3 km 7 min. Elit mozi in Sopron 3.9 km 9 min. 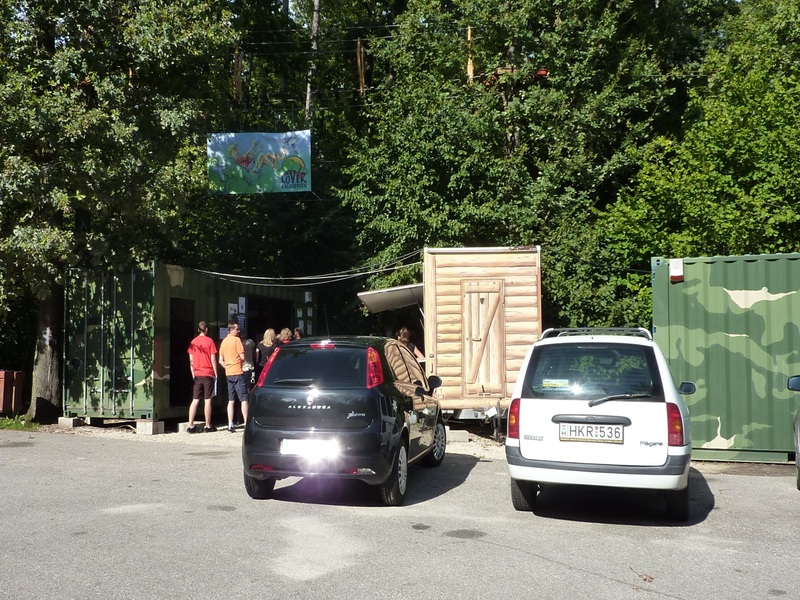 Gokart Sopron in Sopron 3.9 km 9 min. Crazy Garage in Sopron 4.2 km 10 min. Bread museum in Sopron 4.6 km 10 min. Sopron bob sleigh in Sopron 4.6 km 10 min. Speedarena Sopron in Sopron 5.5 km 12 min.